An hour before Theresa May told the House of Commons to vote for the government to reopen negotiations, Commission President Jean-Claude Juncker had been in contact to convey that it would be fruitless for her to come to Brussels on the basis of an attempt to reopen the Withdrawal Agreement. Indeed, before the Brady Amendment had even been voted on, all 27 countries of the European Union had already rejected it. An official note seen by everyone outside parliament, it seems, read: “The EU 27 and the Commission have already prepared a reaction in case the Brady amendment passes this evening”, the response is “that they will not renegotiate the withdrawal agreement”. The amendment was passed by a majority of 317 to 301 regardless, requiring the backstop to be replaced with “alternative arrangements to avoid a hard border”. Theresa May and colleagues said “it is now clear that there is a route that can command a sustainable majority”, to which Tim Farron responded “whatever it is that you are on, the Lib Dems are probably in favour of legalising it”. 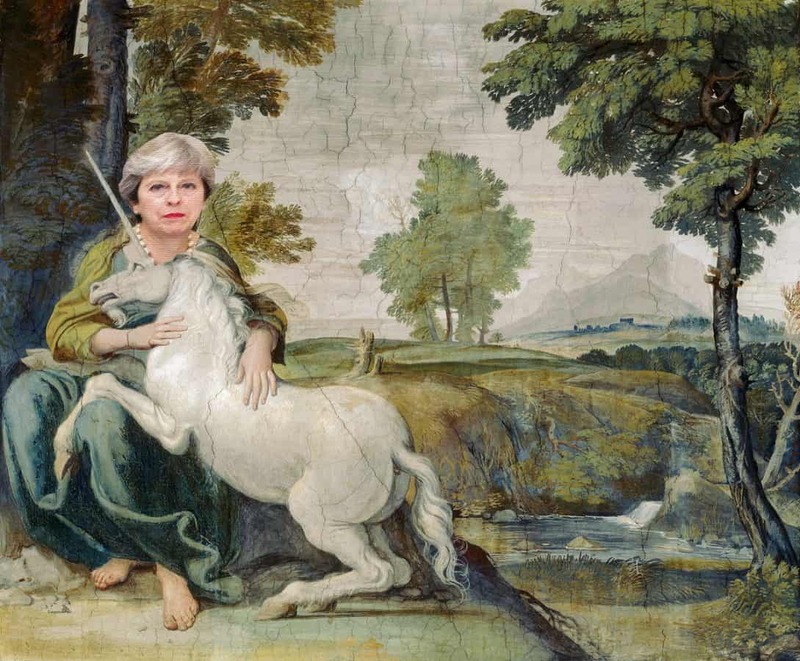 The events of last night showed that the government is now chasing unicorns in a futile attempt to break the Brexit deadlock. Green MP Caroline Lucas said “Tory MPs have backed a fantasy” in supporting the Brady Amendment, pursuing “reckless self-indulgence” simply to kick the can down the road for another few weeks. Not that it should make much difference in the grand scheme of things. The government has wasted two years getting us precisely nowhere, what will another two weeks matter? But we are getting dangerously close to landing in a no deal scenario by accident. There are just 58 days until Britain departs the European Union, and with London “negotiating with itself more than the EU”, as one EU diplomat said, we could be staring into oblivion without even realising it. As Labour MP Yvette Cooper put it last night, “I’ve always believed that the prime minister would not let [a no deal Brexit] happen, I always believed that she would flinch when it came to the crunch, that she is not the sort of person who would want to make other people suffer because of her delays and mistakes. “But my worry is that when I look into her eyes now, I am worried that that has changed because she is trapped. Because every time the prime minister has had the chance to pull back and to reach out, she’s done the opposite.